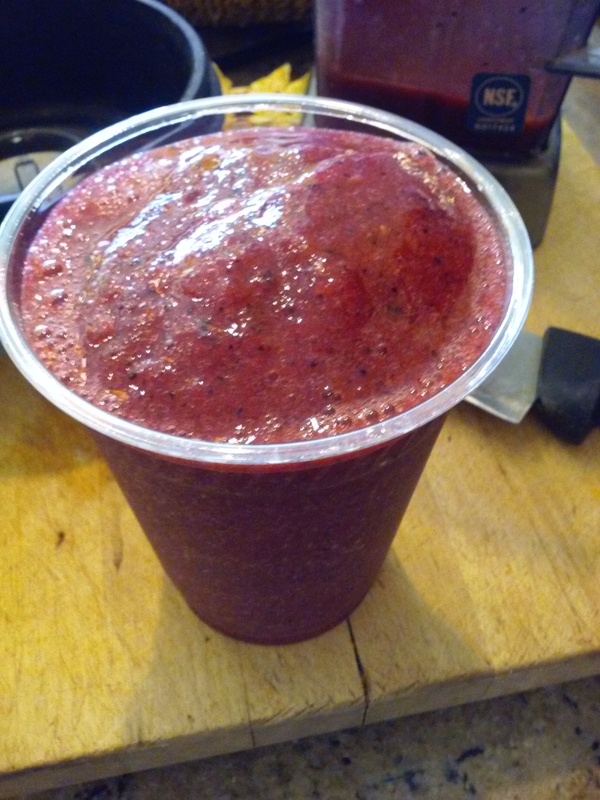 Add the berries and half the ice and blend. The berry juice will act as a water-less lubricant. Then add the banana and rest of the ice and blend until smooth. Makes 18oz. Completed smoothie. You can also use raspberries in place of blackberries. Or grapes. Or really any berry.